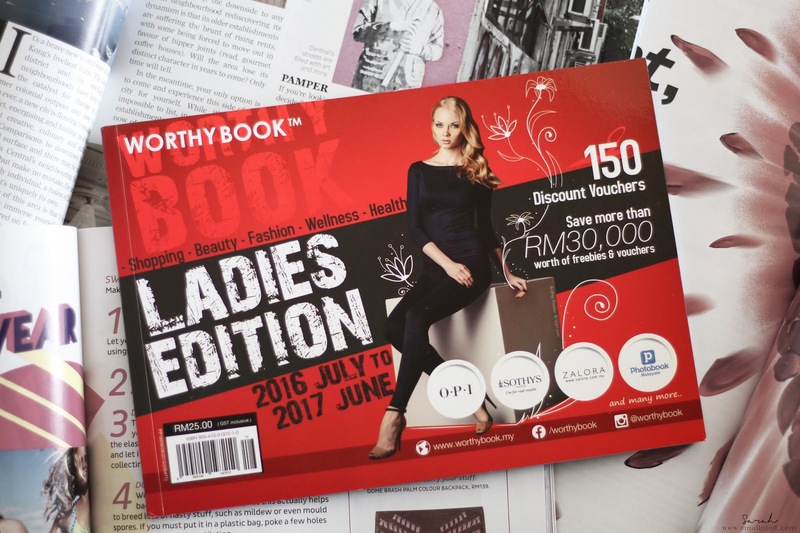 Worthybook Ladies Edition 2016 - Is it Worthy or Worthless ? You'll LIKE it if you are looking for discount vouchers to try out some new or existing beauty salons, nail parlours or fashion boutiques. You'll HATE it if lots of freebies is what you are expecting to get from the book. 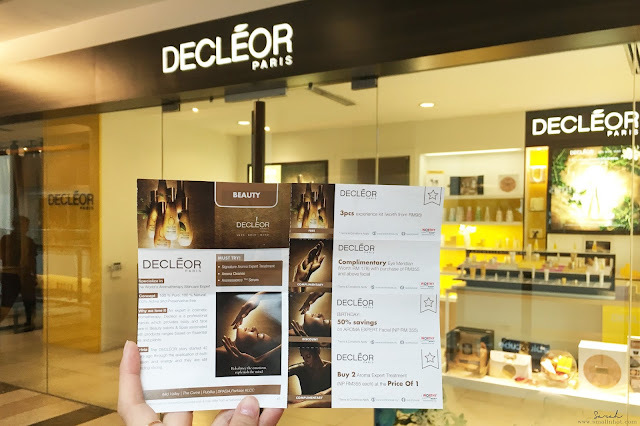 FREE 3 pcs experience kit from Decleor - The first services that I wanted to redeem from the Worthybook Ladies Edition 2016 is this "FREE 3 pcs experience kit from Decleor". So I headed to Decleor outlet in Publika to collect the kit for free, sadly as I handed the tear out voucher to beautician, we were told that the voucher can only be redeemed if you purchase one of their facial services (worth up RM 300++). Of all honesty, I feel utterly disappointed because according to the terms and condition stated behind the voucher (refer to page 48 e-book), there's no terms and conditions saying that we need to purchase any services/products to redeem this 3pcs experience kit for free. So I am not sure whether the fault is on Decleor or Worthybook, who failed to stipulate the terms and conditions clearly on the voucher. FREE one (1) session of Ecoparadise Antioxidant Hotbed Therapy - Other than this, I went for a FREE Antioxidant Hotbed Therapy as well. For this Ecoparadise voucher, the terms and conditions were quite straight forward, all you need is to make an appointment and present this voucher upon redemption, then you'll get to enjoy the Antioxidant Hotbed session for free of charge. And that's exactly what happened to me.